Samsung may still be consigning its A series to developing markets, but that does not make the handsets any less lustworthy. 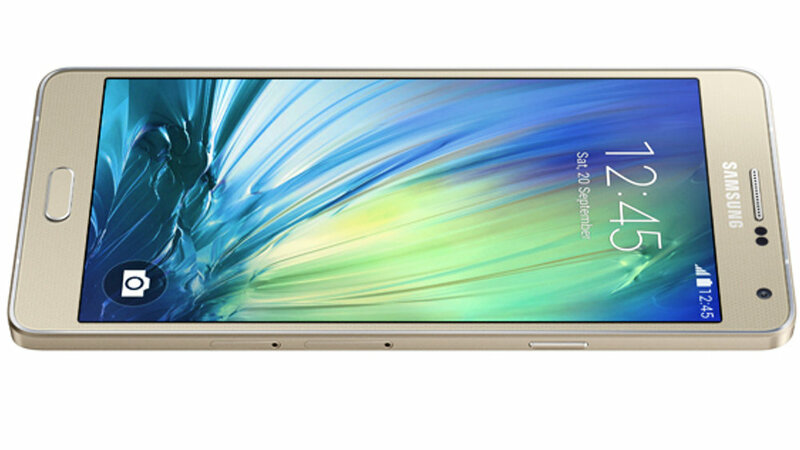 Yesterday, the company took the wraps off the Galaxy A7, the larger, 5.5-inch sibling of the Galaxy A5 and A3. 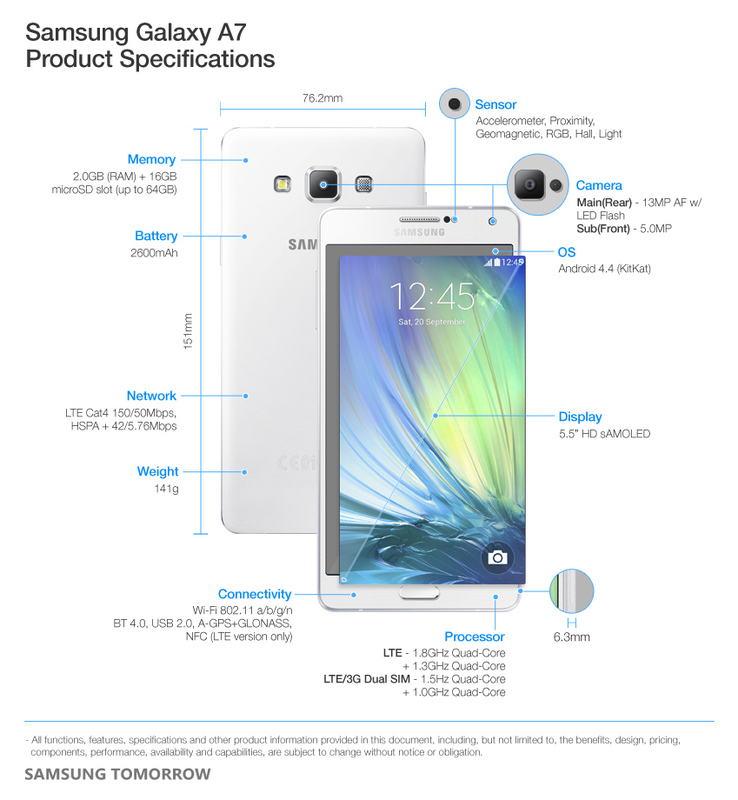 The A7 bares the many trademarks of Samsung’s A series: compact casing, an aluminum unibody, and an incredibly slim profile (it measures 6.3mm at its thickest, making it Samsung’s thinnest by a hair). It does not necessarily bring anything aesthetically new to the table – it continues the angular design language of previous entries in the A series – but still by nature stands among Samsung’s very best, in my humble opinion. Its undeniably sleek, if nondescript. The A series has never been about cutting-edge specifications, and the A7 continues the mid-tier trend. Its respectable 5.5-inch HD Super AMOLED display is complemented by an octa-core processor, 2GB of RAM, and 2600mAh battery (presumably non-removable). The rear and front-facing cameras’ megapixel counts are 13 and 5, respectively. And internal storage weighs in at 16GB, expandable via a microSD slot. Other tidbits: it has LTE connectivity, and bizarrely runs Android KitKat out of the box (here’s hoping a software update is in the works). Predictably, the A7 is heading to first to Asian nations – South Korea and Malaysia. Models in gold, black, and white will hit store shelves sometime in February at the very latest. It will reportedly cost RM 1,499, which roughly converts to a competitive $420 USD. Anyone crossing their fingers for a stateside variant? I definitely am.